Come see what your closet has been missing -- Adorn boutiques opens in The Windward. Not all women enjoy shopping for clothing and accessories. 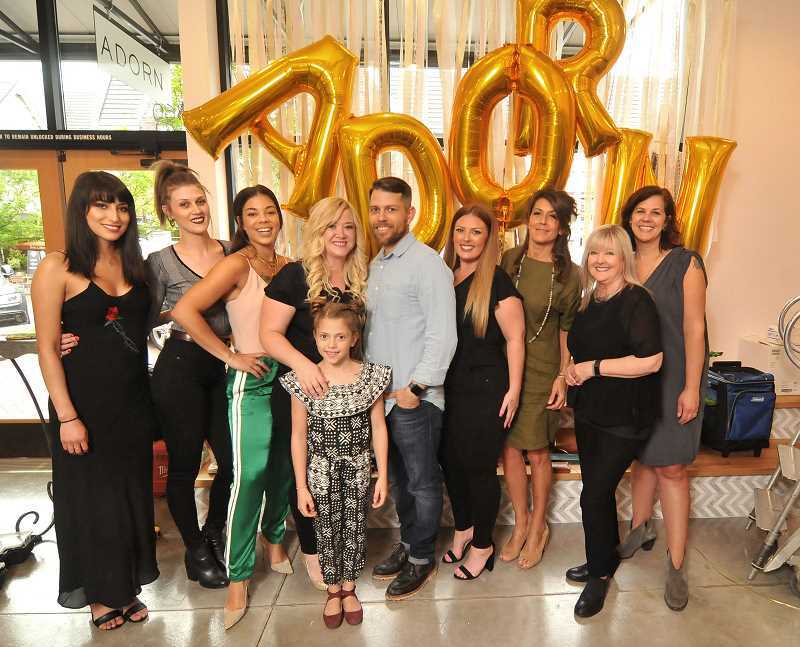 Many feel overwhelmed by too many options, but that doesn't have to be the case, says Nicole Whitesell, who with her husband, Ethan, has opened Adorn women's boutique in The Windward, Lake Oswego's newest shopping venue. What Whitesell says may be missing for those who don't enjoy shopping is the personal attention of a stylist who can select clothes that truly fit and flatter a woman. Adorn is "style made simple," and is committed to customer satisfaction. Whitesell began her fashion career at 13, selling a variety of items online; later during high school and college she worked as a sales clerk at Nordstrom. She developed a strong fashion savvy there, but it wasn't until much later after a stint in the construction industry that she had an "ah-ha" moment about fashion. "There are some people who have a knack for putting the whole look together," she said. "But it isn't natural (to have that talent)." She said the turning point for her came after her days at Nordstrom, when a stylist helped her select clothing that took into account her body shape and lifestyle to create a look that was pleasing to her, and gave her that sought-after put-together appearance. She thought, "Why can't I do that for others?" "Adorn actually started with me," she said. Recognizing the importance of having clothes "fit just right" according to her shape, she continued to sell clothing and accessories online and then one day spied a storefront in the Fremont neighbor for her first store. She trained others to have that critical eye of a stylist and launched two more locations. More important than the clothing offered were the relationships the stylists were building with customers. Customers were relying on Whitesell and her stylists to offer flattering styles for all body types and sizes, and building a loyalty in the process. "That saying that you can't be everything to everybody is baloney," says Whitesell. "I truly believe that we have something for everybody." The boutique carries a wide range of clothing brands and accessories in a wide range of sizes and price points. Adorn is known for carrying a wide variety of denim brands, flattering to women of all ages and sizes. "We focus on the capsule collection," Whitesell says. "That's the idea that you buy less, focusing on items that work together. So you only buy what makes you feel good. If something still has tags on it a week after you purchased it you don't love it. It was the wrong choice." Working with a stylist can bring joy to shopping, even for the overwhelmed shopper. It can also eliminate buying clothing you don't enjoy wearing, or items that don't go with what you have. Working with a stylist can help "refresh and reset" your wardrobe, Whitesell says. Most of Adorn's stylists have been with the company for four to six years, and still are constantly upgrading training. 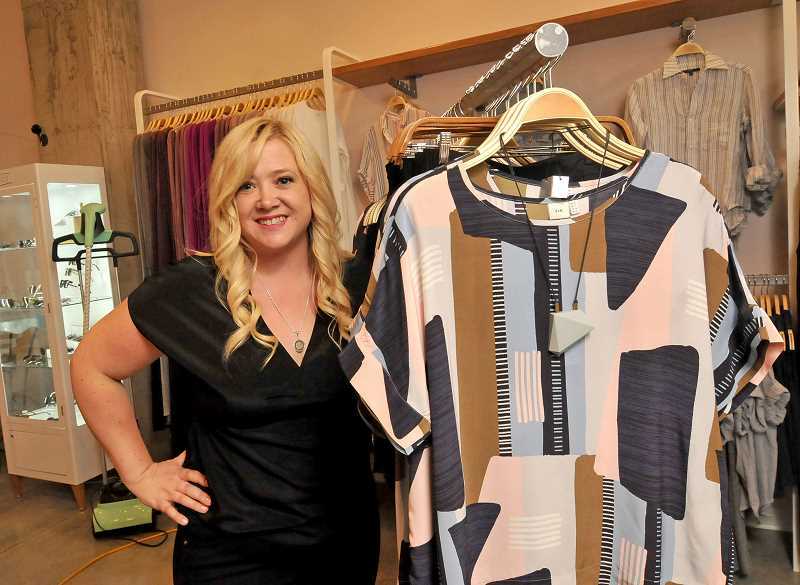 Adorn offers private shopping parties and closet clean out services. "Come see what your closet's been missing," encourages the website. Adorn's Lake Oswego storefront is located at 360 1st St., with hours from 11 a.m. to 7 p.m. Sunday and Monday and 10 a.m. to 8 p.m. Tuesday through Saturday. Learn more online at shopadorn.com.